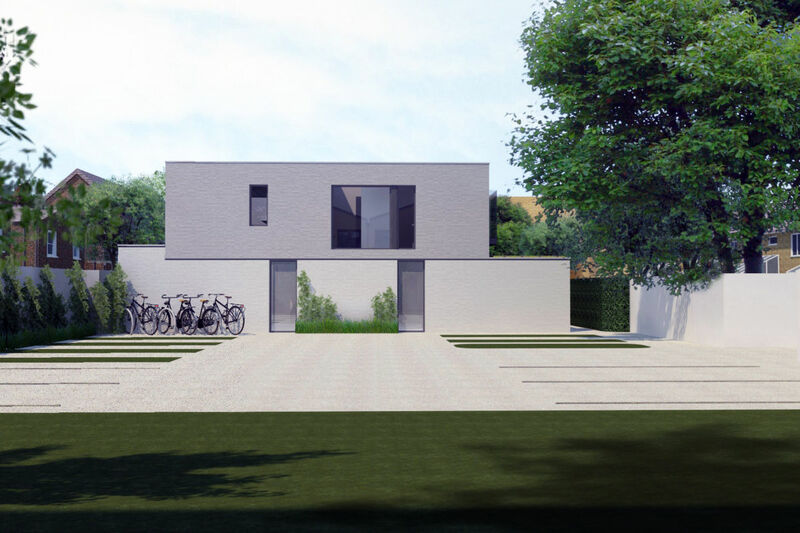 A mews terrace of six contemporary three bedroom courtyard houses in place of a tired light industrial shed unlocks a difficult site, set among new soft and hard landscaping including planting of new trees and vegetated roofs to enhance water retention and biodiversity. The reductive forms created by cutting voids into the solid mass bestow the proposed dwellings with courtyards both front and rear to provide private amenity space for the inhabitants, as well as respecting the privacy and amenity of adjacent and nearby dwellings. 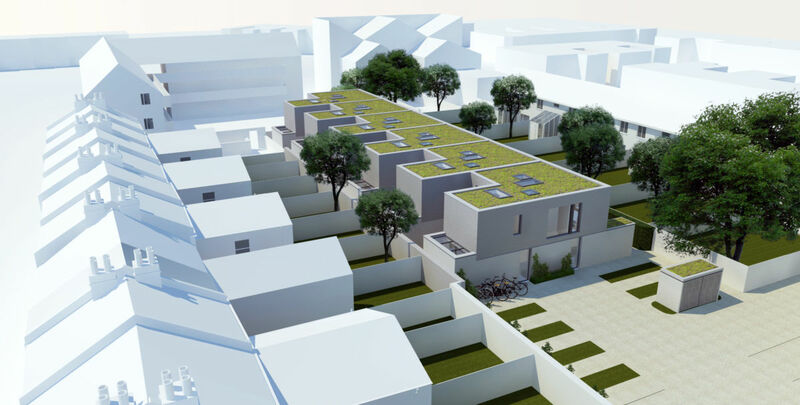 The courtyards will be a source of sanctuary in the urban context and befitting of the backland nature of the Site. 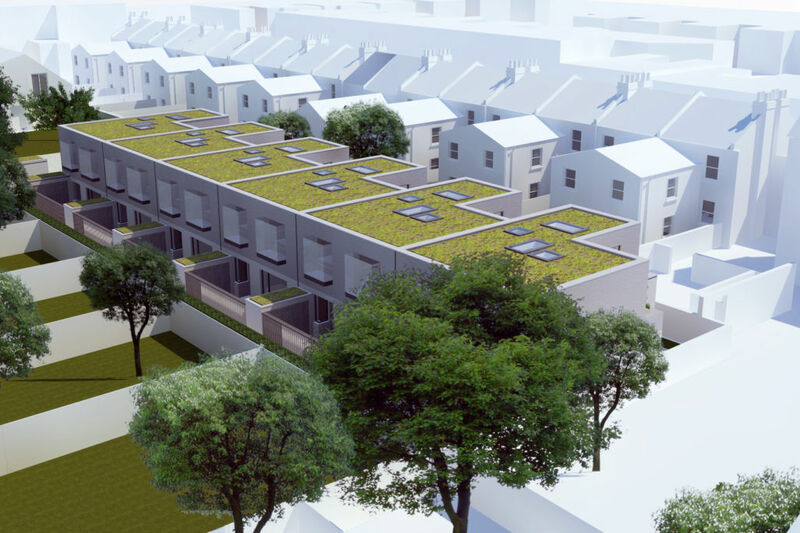 In setting back the proposed dwellings 4.5m from the Site’s north boundary, a distance of 19m is achieved to rear of the opposite terrace. Furthermore, the proposed first floor windows to the north feature bespoke box ‘bay’ windows with a translucent panel / pane to the one side that faces the rear of the properties opposite to prevent overlooking, while the top and side panes are clear glazed. 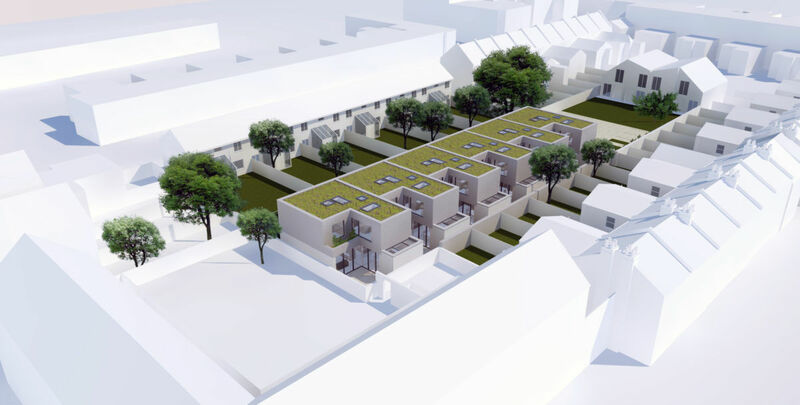 The proposed dwellings utilise setbacks in the form of courtyards to allow windows to habitable rooms such as bedrooms to sit at 90 degrees to the opposing windows at the rear of the terrace opposite. 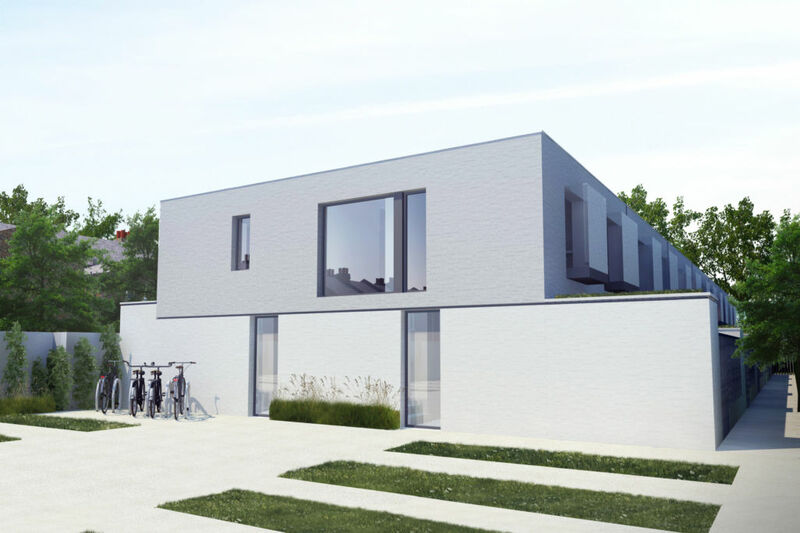 Taking into account the urban setting and Mews House typology, it is considered that the proposals will minimise overlooking to maintain an appropriate level of privacy and amenity between the proposed dwellings and their respective neighbours. floor level and a medium grey brick at first floor level grey, which gives tone and the appearance of a solid volume resting upon another while being related in texture and form. Window frames and coping details will be a complimentary and durable mid/ dark grey powder coated aluminium. Surfaces that are to be regularly interacted with, such as the entrance doors and store doors will be a tactile matt timber. 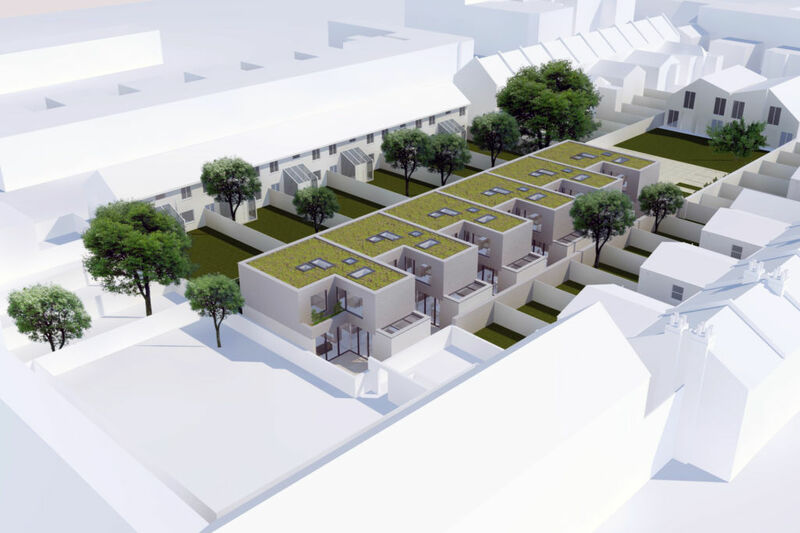 The appearance and fenestration of the proposed mews houses aims to extenuate the two storey’s as rectilinear volumes, breaking down the building mass. Horizontal material expression appearance can work together to create a cohesive design. Expressing the separate volumes through this method can establish a ‘floating box’ quality in which adds linear elements to the design. Landscaping will be enhanced with the introduction of foliage, shrubbery, climbing plants and sedum roof at ground floor, improving the biodiversity of the Site. 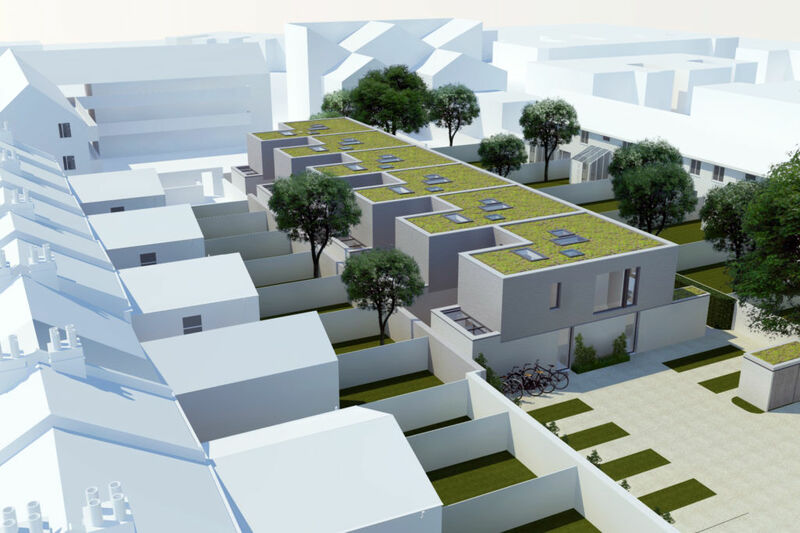 The proposals are well served by a mixture of outdoor amenity spaces within verdant surroundings, which will enhance living conditions of residents. 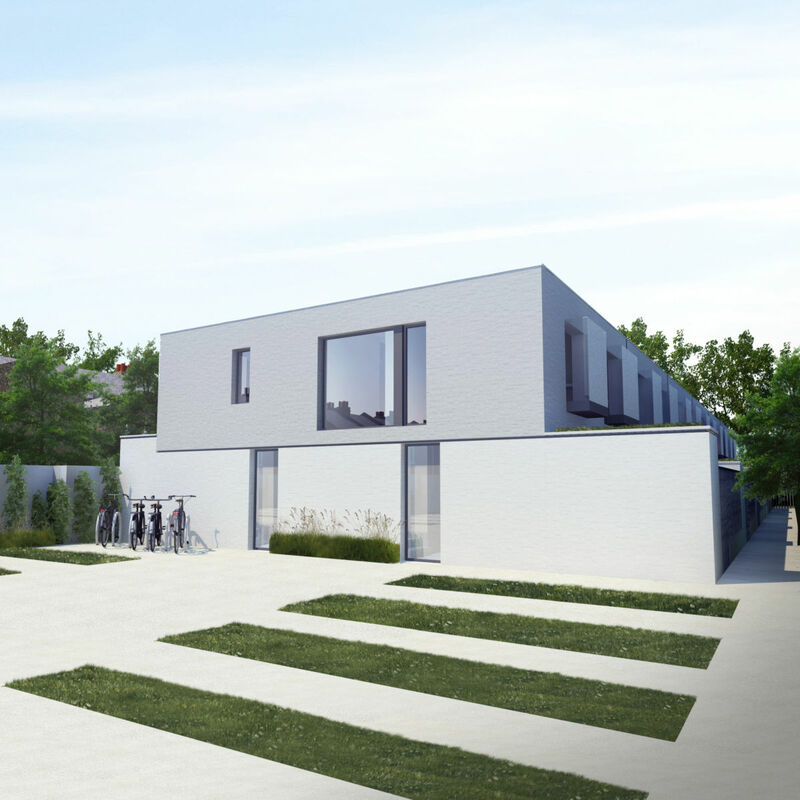 The proposed dwellings feature first floor planters to the rear / south courtyard elevations to enhance outlook, as well as provide screening and privacy to the rear of neighbouring properties.